eBay This listing is for white dress shirt only. 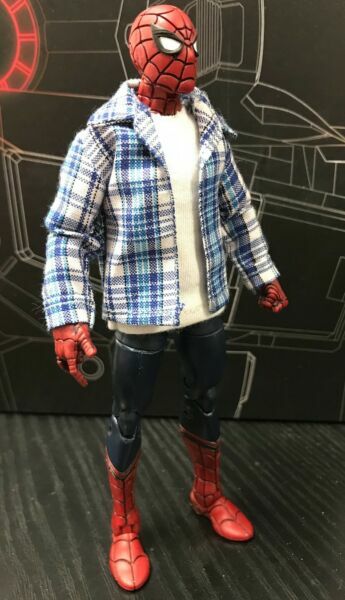 Figure is not included.Product Description:This custom plaid shirt and sleeveless shirt is specifically designed for 6" Marvel Legends Spiderman action figures. Notice for international buyers:We have added shipping insurance to all international orders. The price and shipping fees are both covered. Despite the shipping method you selected, the insurance company requires us to wait 40 days after shipping date to make the claim. Please contact us through eBay message center if you don't received the package after 40 days. We will provide a form for you to fill out. We are unable to provide a refund until after 40 days and the claim form is filled out. By purchasing this item, you have read and understood the insurance coverage and the 40 days waiting period.